Little background in statistics or research methods? No problem. APPLIED STATISTICS FOR PUBLIC AND NONPROFIT ADMINISTRATION is written especially for students and practitioners like you. 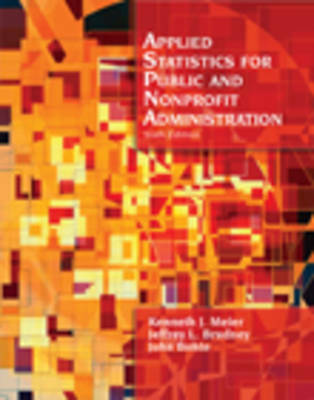 All statistical techniques used by public administration professionals are covered, and all the examples in the text relate to public administration and the nonprofit sector.